Belisle #220 7" x 7" body grip trap, with double springs. This is a zero clearance trap, meaning there is no space between the jaws when they are in the closed position. 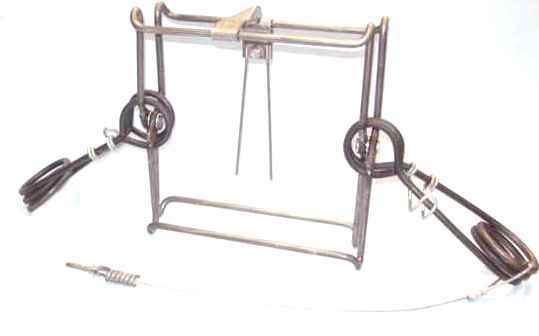 This canadian built trap has a safety hook on each spring and an improved dog and trigger arrangement. Built to last and very powerful. The Belisle 220 can be used to humanely capture such species as raccoon, fisher, otter, beaver and similarly sized animals.